Bicycle crashes can be just as threatening to life and limb as crashes in any other type of vehicle. Bicyclists are not protected by tons of metal, as motorists in cars and trucks are. Bicyclists can be thrown off bicycles by unforeseen divots in pavements or unexpected dashes in front of them by small animals. In 2016, 835 bicyclists died in collisions with motor vehicles, the largest number of fatalities since 1991, according to the Insurance Institute for Highway Safety. Like motorcyclists, bicyclists need to wear helmets to ensure their safety in the event of a collision or other bicycle accident. Use of a helmet can reduce the chances of sustaining a head injury by half. Which helmet should you buy? While helmet use has long been recommended, consumer information about the best brand of helmet has been scarce. However, a partnership between Virginia Tech University and the Insurance Institute for Highway Safety has reviewed 30 models of bicycle helmet and rated them. The ratings were published for the first time in June. The list in each category is given below. Note that models are listed from best helmet to worst helmet within each category. Helmets are listed from best to worst within rating categories. 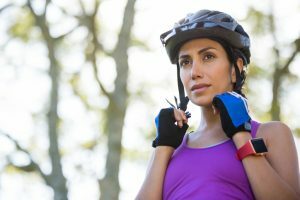 Bicycle accidents, whether they involve a collision with a motor vehicle or not, can do serious damage, causing injuries, property damage, and even death. If you or a loved one are in need of an experienced bicycle accident lawyer in southern California, call the Ellis Injury Law Firm at 310-641-3335. Our initial consultation is always free. We have been serving the southern California community for more than 2 decades.